Here’s the ultimate experience for fans of Russell Crowe. 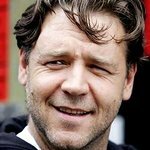 A new charity auction is offering you the chance to experience a non-speaking walk-on role in Gabriele Muccino’s new film “Fathers and Daughters,” starring Russell Crowe, Amanda Seyfried and Aaron Paul; an invitation for you and a guest to attend the premiere of the picture; and an autographed copy of the DVD or Blu Ray of the film. Fathers and Daughters is the powerful story of a parent and child living 25 years apart in New York City. Crowe will portray a famous novelist and widower struggling with mental illness as he tries to raise his 5-year-old daughter. Seyfried will portray the now-grown daughter in present-day Manhattan as she battles the aftermath of her troubled childhood. Proceeds from the auction will go to independent K-6 coed day school Laurence School in San Fernando Valley and Bay-Nomoy Early Childhood Center. The auction runs until February 25, and can be accessed via CharityBuzz.com.